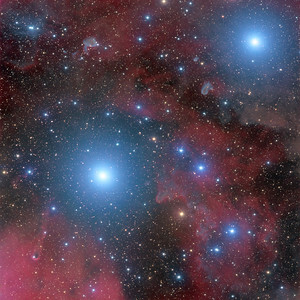 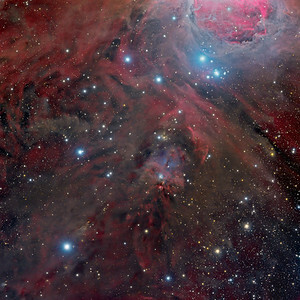 Interstellar dust clouds and bright nebulae abound in the fertile constellation of Orion. 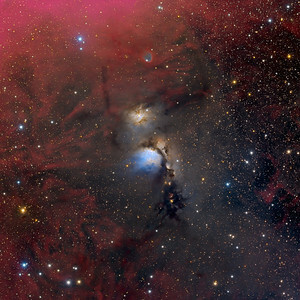 One of the brightest, M78, is just left of center in this colorful telescopic view, covering an area north of Orion's belt. 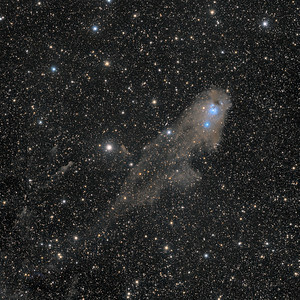 At a distance of about 1,500 light-years, the bluish nebula itself is about 5 light-years across. 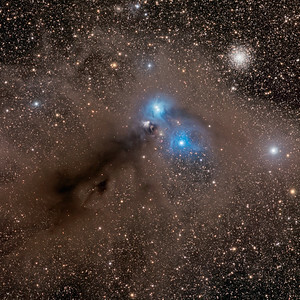 Its blue tint is due to dust preferentially reflecting the blue light of hot, young stars in the region. 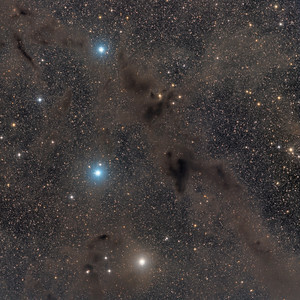 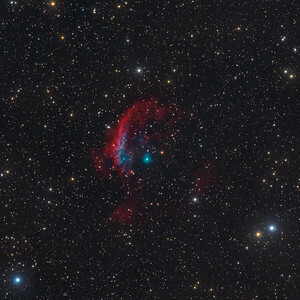 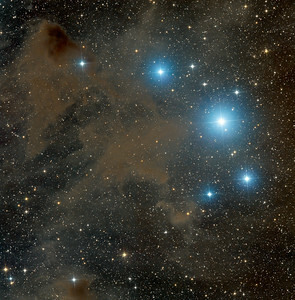 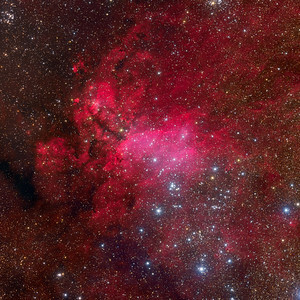 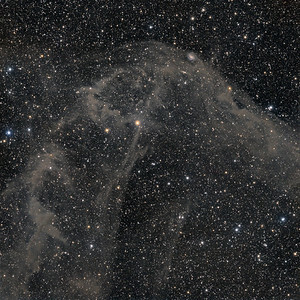 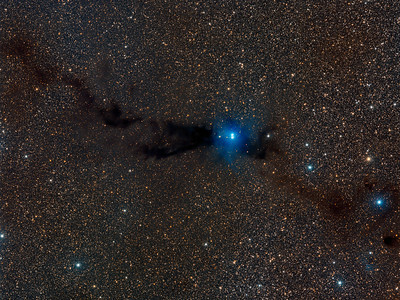 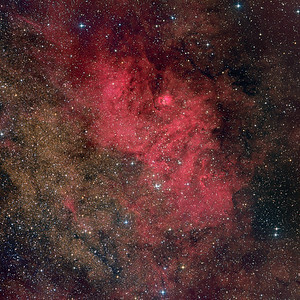 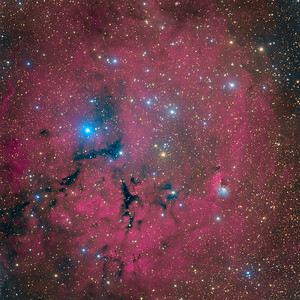 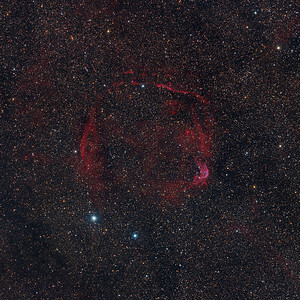 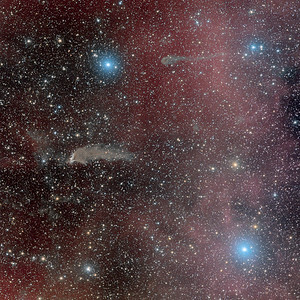 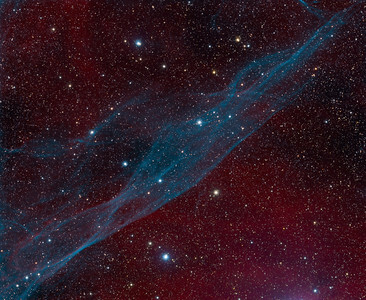 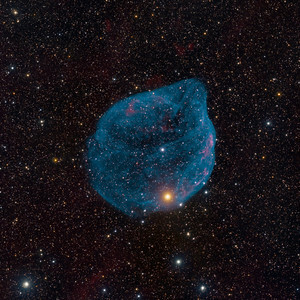 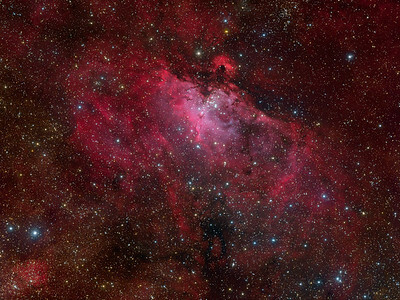 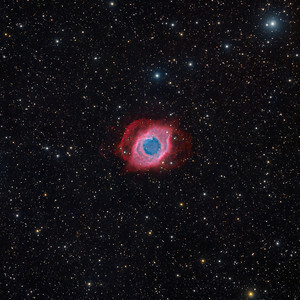 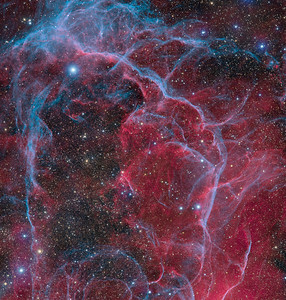 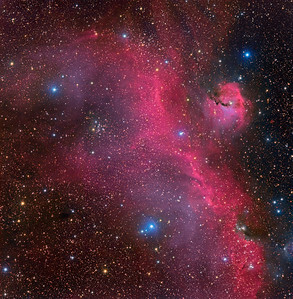 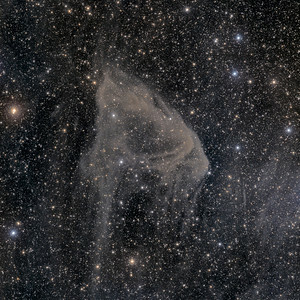 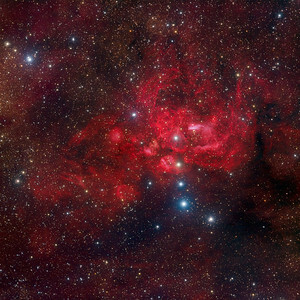 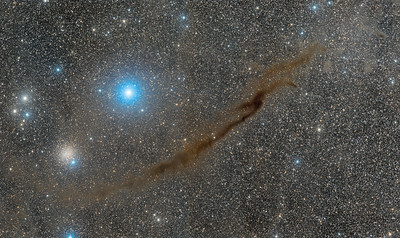 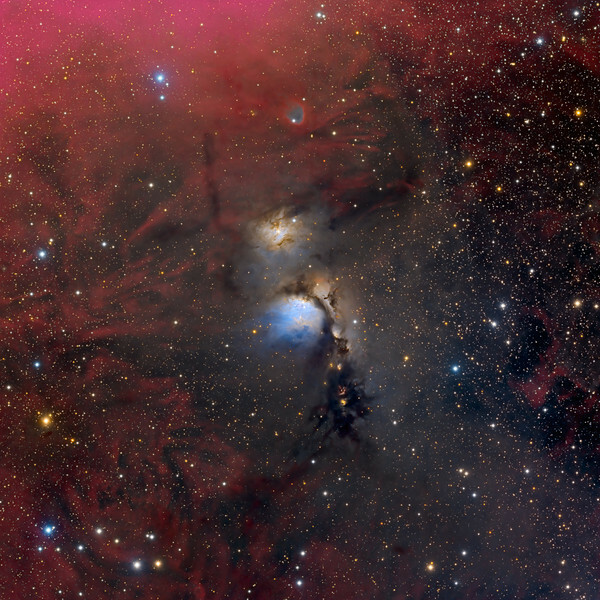 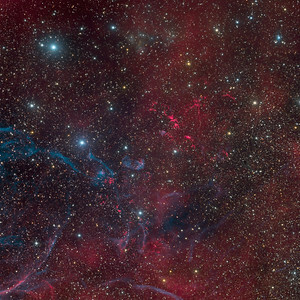 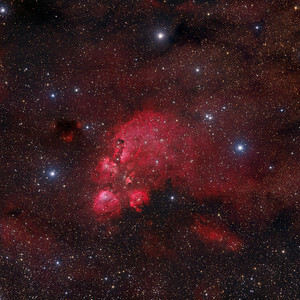 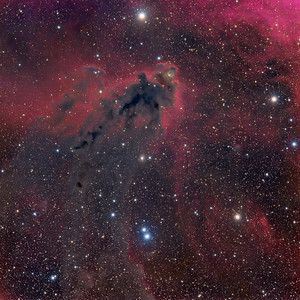 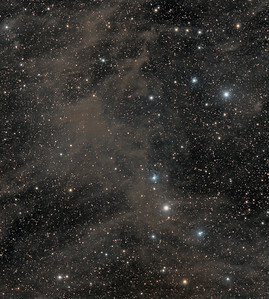 Dark dust lanes and other nebulae can easily be traced through this gorgeous skyscape. 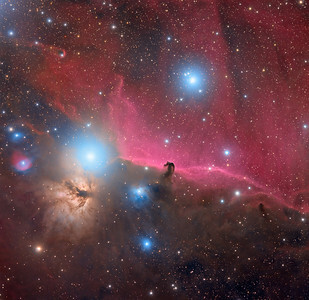 The scene also includes the remarkable McNeil's Nebula -- a newly recognized nebula associated with the formation of a sun-like star, and the telltale reddish glow of many Herbig- Haro objects, energetic jets from stars in the process of formation (text adapted from APOD).